A recent global report has shown that while both Kenya and South Africa are shown to be “progressing” in terms of the assessment of the websites of some of their top heritage institutions, both countries are lagging behind severely in comparison to other nations when it comes to digitisation and making their digital archives accessible and even more surprisingly South Africa is lagging behind Kenya in this regard. Both Kenya and South Africa had 11 leading institutions assessed. The assessment included both qualitative and quantitative measures. In addition to the scorecard, the EIU surveyed 2,200 “consumers” of culture across the 22 countries and conducted 25 in-depth interviews with professionals in the heritage sector to understand their experience with digitisation in these nations. I had the privilege of being one of the 25 interviewed. The interviews did not affect the country score but provided commentary and case studies for the final report. Africa Media Online’s Heritage Digital Campus was drawn on as one of the case studies (page 34 of the White Paper). Below are Kenya and South Africa’s position out of 22 in each category as well as the percentile in which they fell. A score was given out of 100 in each category. If the country fell into the 71-100 range, they were considered Advanced. If they fell into the 51-70 range, then they were considered Progressing and if into the 31-50 range, as Emerging. And finally, if they fell into the 0-30 range, they were considered as no more than Nascent. While most nations assessed were found to have a Progressing or Advanced website evaluation, and Kenya and South Africa did not disappoint in this area, Kenya was found to be Nascent in four of the five categories, which is cause for concern. South Africa was found to be strong in the Digital Educational Initiatives category, where 15 of the 22 nations fell into the Nascent range and South Africa fell into the Emerging range. In three important measures here, South Africa trails Kenya. In terms of the digitisation of archives, South Africa is in 18th position to Kenya’s 17th. In the accessibility of digital repositories, South Africa comes in in 21st place to Kenya’s 20th. And in quality of content, South Africa is once again in 21st position and Kenya 20th. The only measure where South Africa is doing better than Kenya in terms of the “Digital Access to Archives” is in terms of the preservation of archives where it is very much better, coming in 8th position overall to Kenya’s 22nd position. So South Africa is good at keeping its archives, but not at taking the measures required to give access to them. For the most advanced economy on the African continent and one of the most democratic, that is a real indictment and one that surely needs speedy correction. Kenya, on the other hand, needs to work hard on both digitisation and engaging the technologies required to present its digital collections to its people and to interested users from all over the World. 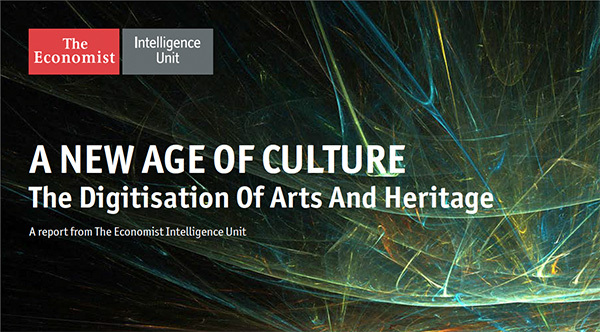 View A New Age of Culture: The Digitisation of Arts and Heritage Around the World online summary and download the White Paper.